Social Media has shaped the way people connect to each other. We are able to talk to someone who is on the complete opposite side of the planet from us with the touch of a button. We have access to all our friends and family right at our fingertips. But this power is going to our heads. How can these advances be a bad thing? Humans are social creatures so Social Media should help, rather than hinder, us. Through personal experience I have found that Social Media contributes to a decline in well-being to my peers. This has been addressed through a study from students at the University of Michigan. These researchers found that an overuse of Facebook instead of direct contact has a negative effect on how people felt from moment to moment. These findings are no surprise to me. I have felt that an abuse of Facebook and other Social Networks, such as Twitter, can attribute to negative moods in some of my friends. With all the advances in technology today, like the iPhone or other smartphones, we can easily access all our Social Media accounts. We can easily check out what our friends are up to, and check out what others are saying about ourselves. We are so connected to these sites, that we might seem like zombies, or robots, to outsiders. But are they truly influenced by what we see on Facebook? This is what the researchers from the University of Michigan set out to find. They reached out to their fellow classmates for help with this experiment. The researchers sent a text message to participants five times a day for a two-week period. Each message contained a link to an online survey that the participant had to fill out. Every survey was made up of the same five questions: ““(1) How do you feel right now? (2) How worried are you right now? (3) How lonely do you feel right now? (4) How much have you used Facebook since the last time we asked? (5) How much have you interacted with other people “directly” since the last time we asked?” The second and third questions were always asked in a random order, as were the fourth and the fifth. The order in which the questions were asked could have affected the outcome of the answers. This could have also made the participants think about why they answered how they did. Could I be lonely because I haven’t seen any flesh and blood humans, only digital ones because I have spent all my time on Facebook? After compiling all their data, the researchers found that when the participants used Facebook more over a given time period, the worse the felt afterwards. At the end of the study, the researchers asked participants to rate their life satisfaction level. These numbers declined significantly from the start of the study. The researchers also found that direct interactions with others did not contribute to the decline in well-being of the participants. In fact, they discovered that this face-to-face interaction led to a better well-being over time. There different types of people who use Facebook as a means of making themselves feel better. The first type, I like to call the Diary Writers. That’s the person who uses Facebook as their personal diary. They rant away about how horrible their day has been and how nothing is going their way. Many of these people, it seems, only log on to complain about their horrible day. To these people, Facebook may seem like the place they go to when they need a break from reality, rant, and get on with their life. There are also the Attention Seekers, who could easily fall into the previous category of Diary Writers. These are the people who tend to find something that is flawed about them, point it out, and complain about it. This results in their many friends commenting on the post saying things like “That’s not true! You’re beautiful on the inside and outside!” Whenever I see these posts, they always tend to get my eyes rolling and I keep scrolling. In recent years cyberbullying has become a true horror that Facebook has played a part in. People choose to attack one individual because of their race, religion, or sexuality. They create Facebook pages where this person is ridiculed over and over again. Their self-esteem is broken down until they can’t take it anymore. In many cases the individual attempts suicide. I myself have been the target of cyberbullying before, and it is not enjoyable at all. This is a real problem that needs to be addressed. We have all been taught that bullying is wrong and we shouldn’t do it, but now we need to add cyberbullying to that as well. Being attacked in person is one thing, but being attacked in the comfort of your own home is not acceptable. People want to go online and check out their friends, so why not build a website that offers that? Friends, pictures, profiles, whatever you can visit, browse around; maybe it’s someone you just met at a party. Eduardo, I’m not talking about a dating site, I’m talking about taking the entire social experience of college and putting it online. 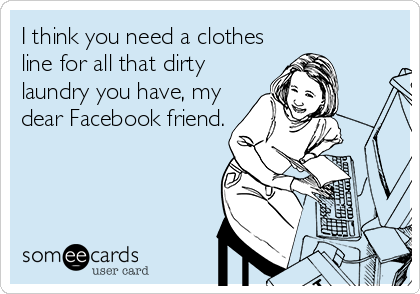 In essence, that is what Facebook is still today, a way to connect people. 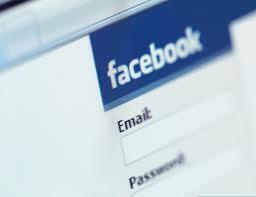 We, as users, need to get back to the roots of Facebook and use it as it was originally intended to be. Purpose: I have felt that an abuse of Facebook and other Social Networks, such as Twitter, can attribute to negative moods in some of my friends. In this paper I will explore the different negative effects that Facebook can have on those who use it. Audience: The primary audience for this paper is the users of Social Networks, such as Facebook. They should take a look at their own online activity and decide if Facebook is negatively influencing their own lives. Kross, Ethan, Philippe Verduyn, and Emre Demiralp. Facebook Use Predicts Declines in Subjective Well-Being in Young Adults. Plos One. N.p., Aug. 2013. Web. 19 Sept. 2013. The Social Network. Dir. David Fincher. By Aaron Sorkin. Perf. Jesse Eisenberg, Andrew Garfield, Justin Timberlake. Columbia Pictures, 2010. DVD. 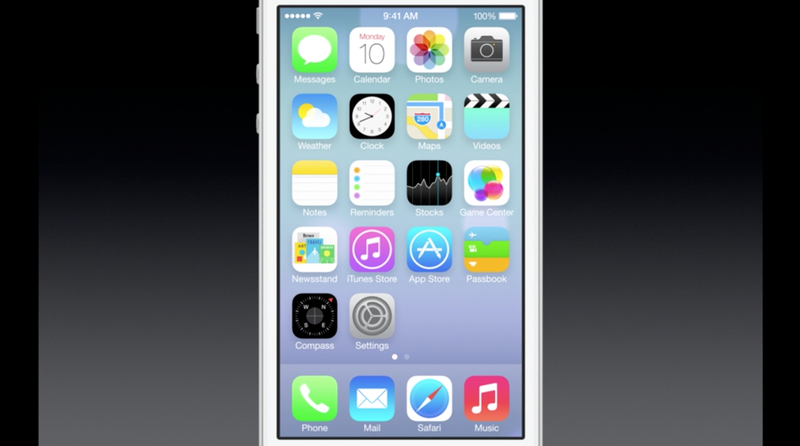 This past Wednesday, Apple released its newest operating system for its mobile devices, iOS7. There was a mad rush to download iOS7, causing many problems on not only private networks, but the entire Internet as well. So what’s the big deal with iOS7 anyway? What makes it different from the other iOS operating systems? Well I’m here to set the record straight! The biggest change that came with iOS7 is the new design. Users have mixed reactions about the new design. It has been likened to everything from a Windows or Android phone, to a child’s drawing. It is much more colorful that previous iOS incarnations. Along with the new design also comes new animations. When opening an closing apps, the screen zooms in and out of it. Some have called this a dizzying effect, but I like it. There are also new features that have come packaged with iOS7. This includes the new Command Center function, located at the bottom of the screen and can be accessed with just an upward sweep of your finger. In the Command Center you can adjust your brightness, turn on Airplane mode, Wi-Fi, and Bluetooth. 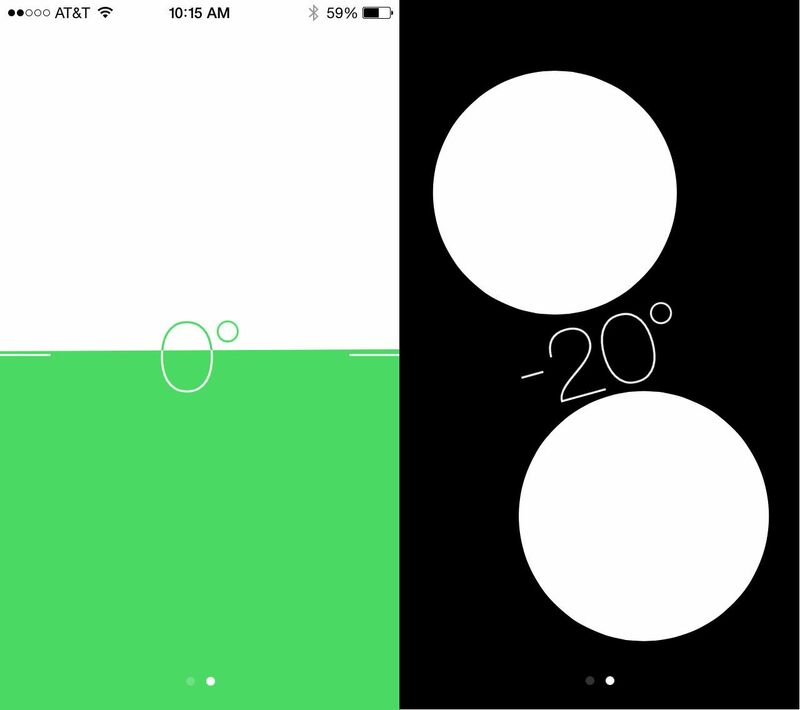 You can also easily access a flashlight, timer, calculator, and camera here. I have also found some “hidden” features as well from playing around with my phone. If you access the compass app, you’ll find a second feature is there. Your phone can now act as a level that can be helpful in home repairs. Another feature I happened across is in the video recorder. Now while recording a video, you can take pictures simultaneously. This is one of my favorite new features. iOS7 has had mixed reviews since its release, I however, give it 5 stars. I love all the new features and couldn’t ask for anything more. Apple has done it again! With the arrival of iOS7 comes a whole new design for some of your favorite apps, like Twitter. Each app on your iPhone needs to update in order to be compatible with the new operating system so what is coming with Twitter’s new update? Twitter is taking this new update as an opportunity to separate TV-related tweets. “But perhaps the biggest change will be centered on that which Twitter wants to be connected to the most: Television. Sources say that Twitter is experimenting with another stream dedicated solely to TV-related tweets and conversations, one which will likely find its way into Twitter’s new redesigned app.” says All Things D.
This might help those people who dislike when others, including myself, live tweet TV shows. Especially if you can’t watch your desired show when it airs. You have to avoid Twitter so you don’t spoil the episode. The only thing not clear yet about this update is if the new TV Tweet Stream will be completely separate from your regular feed, or if these Tweets will still show up there. Only time will tell, which will be very soon, seeing as how iOS7 is due to be released this Wednesday, September 18th. Allons-y! 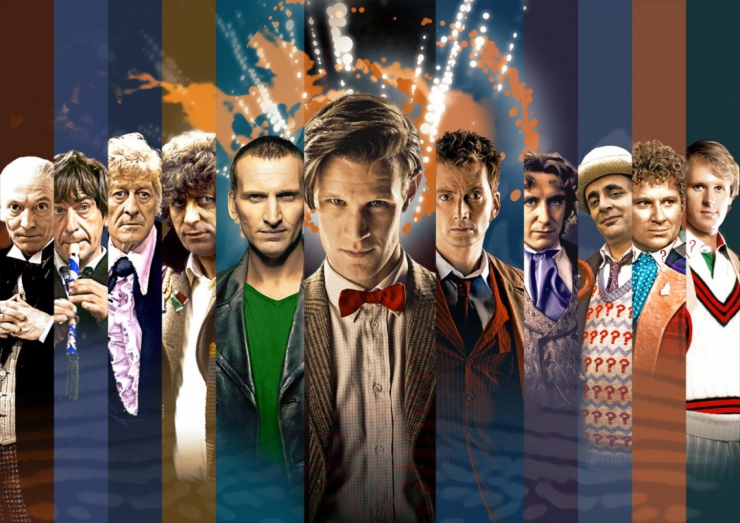 Doctor Who 50th Anniversary Special! Geronimo! I recently jumped down the rabbit hole and joined the fandom that is Doctor Who. It was all thanks to me scrolling through Pinterest one night this summer. I kept seeing these pins about this British Sci-Fi show and I decided to check it out. A month and a half later, I have just finished the entire re-boot series (I watched all of Series 1 in three days) just in time for the 50th Anniversary Special in November. So what is Doctor Who you ask? It is a British Science Fiction TV series, originally debuted in 1963. It centers on a man known only as The Doctor, who is a Time Lord from the planet Gallifrey. He journeys through time and space in is TARDIS (Time And Relative Dimensions In Space) with his companions. Now the same actor has not portrayed The Doctor all 50 years. When the actor who plays The Doctor decides it is time to move on, The Doctor regenerates into a new man, changing his appearance and personality, but is essentially the same man. 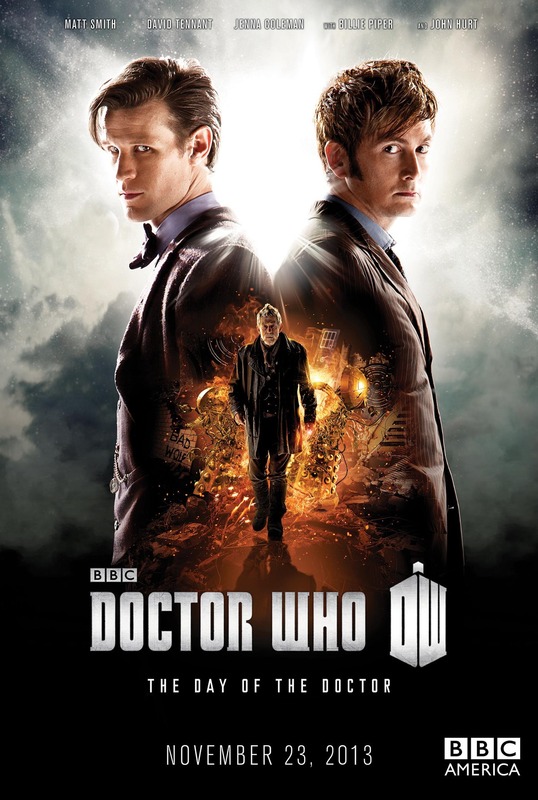 In 2005, the show was revived thanks to a large cult following and has spawned three Doctors so far: Christopher Eccleston, David Tennant, and Matt Smith. After the Christmas Special this year, Matt Smith will depart from the show and leave Peter Capaldi as the twelfth incarnation of The Doctor. I can’t wait until the episode premiers on the 23rd of November, right during our Thanksgiving Break! FANTASTIC! They have arrived! Yesterday Apple released not one, but two, new iPhones. They are known as the 5C and 5S. Each model offers something different to consumers, hoping to appeal to a wider audience. 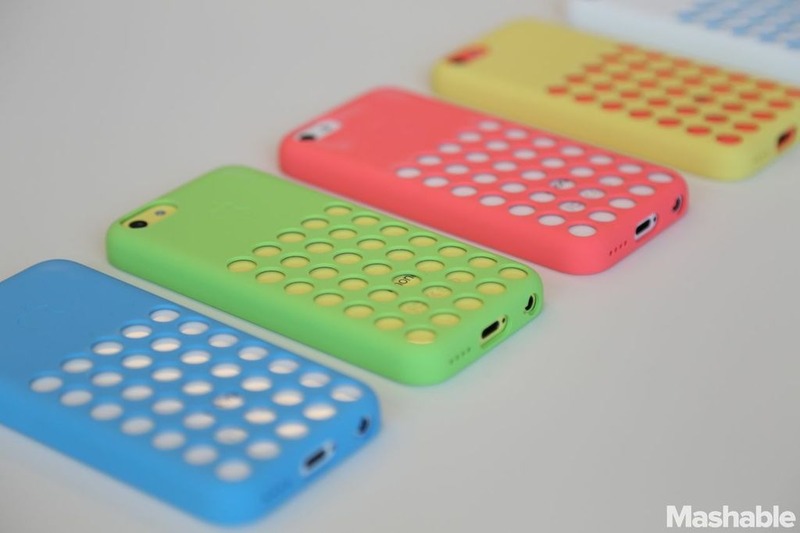 The 5C model comes in a wide variety of bright colors. This colorful body is made of polycarbonate, much different from the aluminum body of previous iPhones. 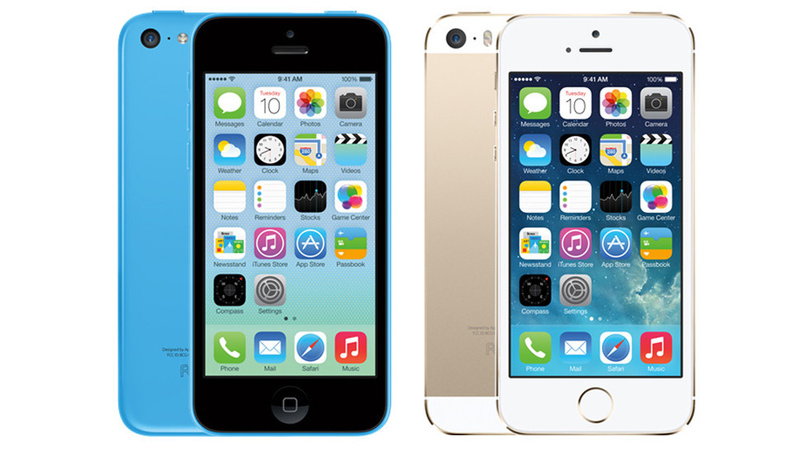 The 5C also has a much lower price. The 16 GB version is going for $99 and the 32 GB for $199. Another feature of the 5C is the new cases. They come in the same colors as the phones themselves, but offer customization, thanks to the holes cut into the case. Many people have made fun of this design likening it to different things such as a Connect Four game or a cheese grater. 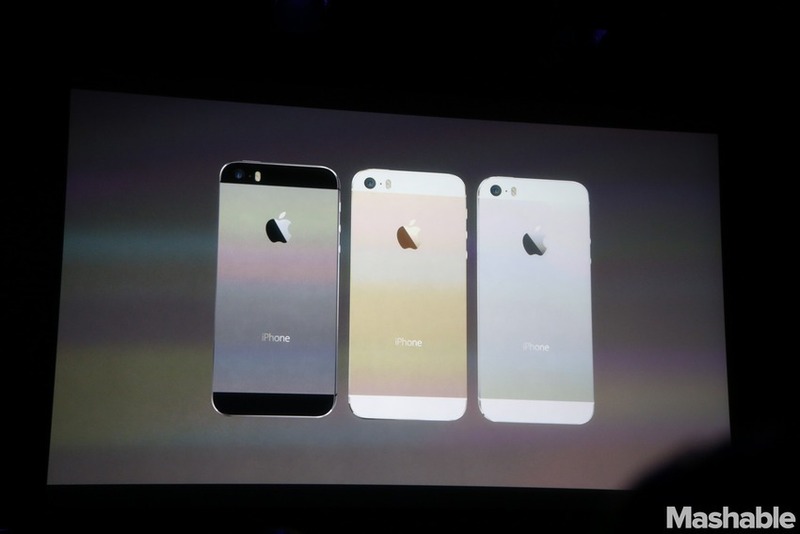 The 5S model will be available in three colors: Space Gray, Silver, and Champagne. This model boasts a new A7 processer that has been re-designed for 64-bit architecture, making this the fastest smartphones available. The 5S also comes with a brand new camera that is able to take even better pictures and even slow-mo videos. Of course one of the biggest features of this model is the fingerprint scanner located in the home button of the phone. Not only does it use the owner’s fingerprint instead of a passcode to unlock the phone, but it also uses this scanner as your iTunes password. Will these new iPhones influence competitor smartphones into adding features like fingerprint scanning? Most likely, but only time will tell. Students today make use of many different resources that were not available twenty years ago. This generation is known as Digital Natives, those who were born into the age of the Information Superhighway. Their parents are known as Digital Immigrants, those who have adapted to a technologic lifestyle. It is important to realize the difference between how these two generations found their information. In order to gain more knowledge on these differences, I interviewed my mother, Renée Fisher, and asked her about her research process when she was a student. Twenty years ago high school and college students, like my mother, went to the library to do their research. First, the student would most likely go to the library’s encyclopedia collection to do some preliminary investigation on their topic. Next, they would scour the card catalogue in hopes of finding books, periodicals, and newspapers that dealt with their topic. 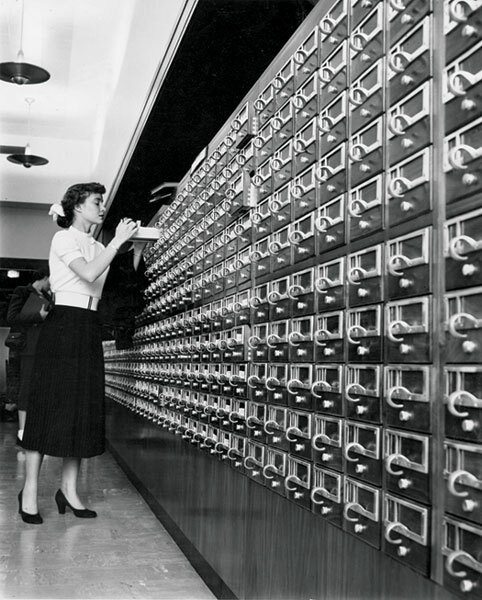 After spending an enormous amount of time at the card catalogue and taking your turn, the student would finally make their way to where the resources they were searching for resided within the stacks of the library. Next, came countless trips between bookshelves and microfiche machines so that the student could find the information on their topic they so greatly desired. Once they found their information, they could copy pages out of the books or hand-write the material that they needed. Finally, once all the research was done and documented, they could start their paper. Today, this process is vastly different. Students can sit at a computer in their favored library, even their own personal computer, and search through multiple online databases, websites, newspapers, periodicals, and even books. They can sit in one spot, do all their research, and even write their paper without moving. This creates many advantages as well as some disadvantages to students today. One advantage is that the student can receive extremely up-to-date information through the Internet. Many websites, such as CNN, post breaking news stories right as they happen. This feature can help students when writing their research papers, especially if they are writing on current events. Another fantastic advantage is the many different types of databases that are located on the Internet. At my high school, we had access to multiple databases that specialized in different subjects; one was for literature research, one for current events, and so on. These databases were ideal. Any student could use them and get credible resources that teachers approved. Many of my high school teachers required us to use at least one database resource in each paper we wrote for them. Of course, there are certain disadvantages that come with new forms of research. A major issue today is plagiarism. Many students often don’t realize they have plagiarized. It is important to cite every single resource you use, especially if you quote that source either verbatim or paraphrase it. Another disadvantage is false information. Though a great number of websites are credible, there are many that are not. A major culprit of this is Wikipedia. This site acts as an online encyclopedia, which is wonderful. The only downside is that anyone can edit the entries on the site. Wikipedia is a good place to start searching for a topic, but not one to use as a major source for a paper. There is one other major difference between students of yesterday and today: Word Processors. Modern students can sit and write draft after draft of a paper without starting a new document. Twenty years ago, students would have to handwrite papers over and over until they reached their perfect draft. Then, they would use a typewriter to create their final copy, being extremely careful not to make any mistakes, or they would have to start over. Some teachers would not allow you to make corrections with white out. This made it extremely difficult. Also, some teachers would not let you use a Work Cited page, as students do today. They wanted the quote sited on each page via a footnote. You really had to plan your paper well and sometimes you would be at the end of a page and would have to start over reformatting it again to make room for your quotes. Computers make this easy. You can view your word document and page layout quickly. If you decide you’d like a sentence moved, you just cut and paste in a flash. You can choose the word count feature instead of sitting there actually counting the words. My mother said, some of her teachers counted those words and if you were one or two words, you got points taken off your paper. Digital Natives and Digital Immigrants co-exist and learn from each other, although they are different and have varied backgrounds. What is the next step in research and how will it affect Digital Immigrants? Will it affect Digital Natives as well? Only time and technology will tell. In the past, invitations to Apple’s events have hinted at what new product will be unveiled. After much speculation, it seems this could be the new iPhone 5C/5S that have been rumored for months. The colorful circles hint that these new iPhones could come in more colors than black and white, like previous models. Could the next generation iPhone follow in the most recent iTouch and come in a rainbow of colors? There is also the rumor of a cheaper priced iPhone that could hit the market as well. This version would most-likely boast a plastic casing as opposed to the aluminum casing that iPhone 5’s have. This would certainly coincide with what competitors, Windows and Android, have released in the past months. Next Tuesday cannot come fast enough for Apple fans who will be anxiously waiting to see which rumors become true. I, however, am more interested in their newest operating system, iOS7, since I just recently upgraded to an iPhone 5. 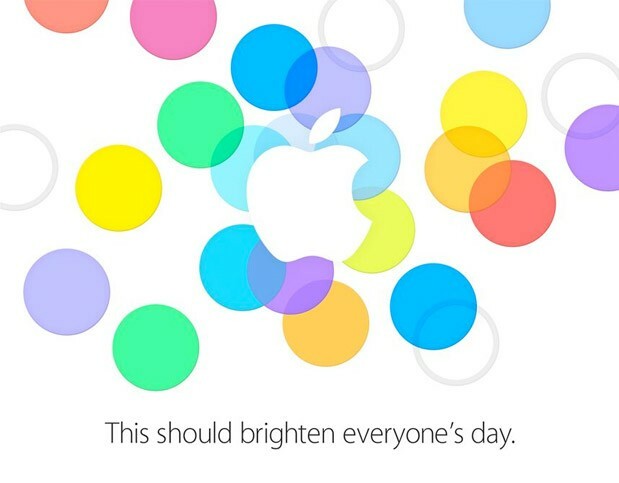 Though, I will be among the fanatics, glued to my laptop, taking in every detail of the newest Apple product.